Tim Ferriss is an extraordinary young man on a mission. The 28-year-old serial vagabond and successful entrepreneur has been teaching a wildly popular course at Princeton University for the past four years: a how-to and why-to guide to throwing out the old methods for success (balancing life and work, retiring well, having a great nest egg) and replacing them with an entirely new way of living. ©2007 Timothy Ferriss (P)2007 Blackstone Audio Inc. This book has some great ideas about maximizing your available time and insights into how to affordably start up your own business. There were a couple of things I didn't like however. The first was the narrator's voice. I don't know what it was but I didn't care for it. Second, some of his advice didn't seem appropriate to me. For example, when trying to get approval for working remotely, he suggests deliberately reducing your productivity while in the office. That doesn't really seem appropriate to me (maybe necessary, but nonetheless). Al in all, this is a good book. I would suggest buying the real book if for no other reason that this book lists a *lot* of web resources, and with no way to really look them up later it makes it hard to remember/find them later. Don't get this book on audio!!! 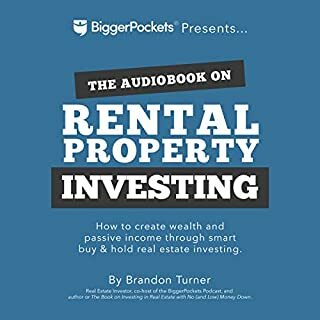 It seems like an excellent book to READ and I am going to get a copy but listening to it is grueling due to all the websites he lists. This can go on for minutes:"Go to yahoo.com. H T T P forward slash, forward slash, dot, W, W, W, dot, Yahoo, dot, com. He often list 10-20 websites, speaking out the full addresses in this manner much through out the book. Once again- Great book, but buy the hard copy and read this one rather than listen to it. The reason I gave this book 2 stars is based strictly on the AUDIO version. I would give the content itself 4-5 stars in HARDCOVER or PAPERBACK book version. I'm actually going to rebuy this, so save your money and pass on the audio version. Get this one at the bookstore. I bought this book because I'm also 28 and have been living a similar kind of life, leaving boring work in Canada, and moving to europe to pursue a career as a DJ. He does have a lot of good points about managing time better, and pursuing your goals, using the internet, but the fails to take into account the sacrifices as well as background, that are made to live this kind of life, as well as the different outlook someone has in their 20's. The narrator reads in a sarcastic, negative way which I didn't particularly like. Its good to delegate work when needed, but delegating communication in personal relationships goes a bit too far. I believe in doing everything to build your dream, but it seems like this speaks more about avoiding work. Once you have outsourced your entire life and personal relationships and have traveled everywhere you want to go, what then? 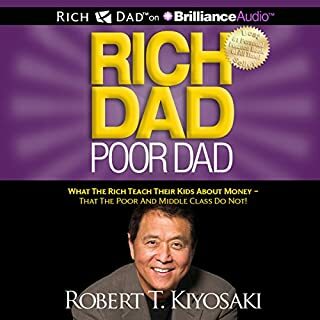 Read Think and Grow Rich, Bryan Tracy or Wayne Dyer. They paint a much more complete and broader picture of success really is. 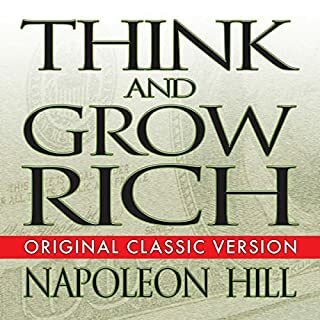 This book is great for dreaming about options for re-structuring one's life differently but not suited for an audio book. It really is a reference book with all the numerous web addresses cited. I ended up buying a hard copy of the book so the web addresses would be handy to reference. In general, this is an entertaining listen. The story seems to be told from the perspective of - quit your job and start an internet business which runs itself. I don't think Tim is trying to say this is the path for all of us. The point is that most of us spend too much time with tasks which are neither important to us nor urgent. Tim really takes his approach to the extreme, and could because his company was capable of running on auto-pilot. I've applied his principles simply by unsubscribing to a dozen mailing lists I rarely read anyhow - and wasted time responding to when I did. They clogged my inbox and slowed my daily progress. This is the sort of thing one should look to get from this book. It would have been nice if the author had spent more time articulating potential examples which are more realistic to those of us who are not going to make $10,000 a month with an internet business. The potential to have a shorter and more productive work week is definite. This book is an entertaining listen of how one person accomplished it. Applying this to one's personal life will require some effort but is very feasible - just don't expect to get yourself to 4 hours per week unless you start an internet business or have capitol to hire others to do all the work. I believe Tim was successful in his approach because he had put in the time to establish a successful business and then put it on auto-pilot. If you have a successful business this book could give you some great ideas. Some good ideas but, not so sure. . . I like some of the time management skills presented in this book. But it seems this book promotes a shallow existence. The last chapter promoting good works sounds like it was pasted on to appease critics and rings hollow. What if you like your work? What if you enjoy interaction with people at work? Important things can happen in meetings, hashing out ideas. Returning phone calls can nurture relationships. Reading the newspaper can deepen ones understanding of complex issues. This bare bones existence in order to travel the world or sit at home in your boxer shorts and "work" does not sound like a full life. 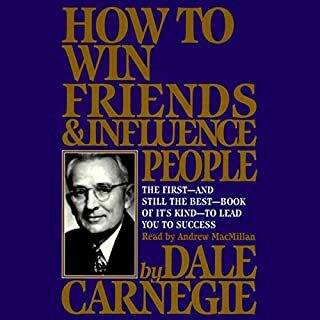 Much of this book promotes using others unfairly. Manipulating your co-workers, employees and your employer. Outsourcing to third-world countries to save a buck and farm out your problems. If self centered self-gratification is your goal--Rock On-- this is your book! Mix a handful of shopworn business truisms ("20% of customers provide 80% of profits," "Work always fills the time alloted") with a jaw-slackening disregard for basic ethics and you get Tim Ferriss's "lifestyle design" plan. The premise: somewhere along the globalization superhighway, luxuriating in pleasure and whim for all but four hours of each week became the calling of the "new rich" (an awkwardly invented designation Ferriss no doubt dreams will replace "tipping point" as the zeitgeist's latest catchphrase). It became the calling of Ferriss, at least, through a crafty scheme of pulling in profits from online nutritional supplement sales and outsourcing to grossly underpaid Indian virtual assistants such tiresome tasks as communicating with a significant other. Where Ferriss's concept most obviously breaks down is in the aggregate: society would collapse if everyone who bought this book successfully implemented his scheme, because its very lifeblood is the slew of suckers who actually work. How can you tango dance on a beach in Argentina when Akshay, your virtual assistant, is also busy tango dancing on a beach in Argentina? More disturbingly, it is hard to listen to or read this book without turning queasy at this undoubtedly intelligent and talented Princeton graduate's near-oblivion to the possibility that, ultimately, life may be less about 'beating the system' to escape work and more about finding a vocation that both energizes oneself and services the world at large. The final chapter on service comes off unsettlingly as a last-minute tack-on by editors suddenly faced with a manuscript of stunning superficiality and self-absorption. Save your money. Less book sales means less pesky bookkeeping work for Ferriss to outsource to Akshay. Come on now! This is the same old stuff repackaged with a very clever title. This course must have replaced Basket Weaving 101 at Princeton for the three easiest credits on campus. I bought this book due to the favorable reviews here and elsewhere. Boy, P. T. Barnum was right and they snagged me! 1 - Get into a successful business that generates enough cash flow and profit so that you can hire others to run it and you don't really have to do much but collect a check. 2 - Hire an underpaid person in India to act as your personal assistant so you don't have to deal with any more of your personal business than is absolutely necessary. 3 - Do what you want to do. Better you should read Allen Greenspan's new book and pay attention to his discussion about how inflation will return as the cheap labor starts to disappear. Then what? Browse this book at your local bookstore while sipping a latte and then put the book back. Better to spend your money on the latte; something you will truly enjoy. 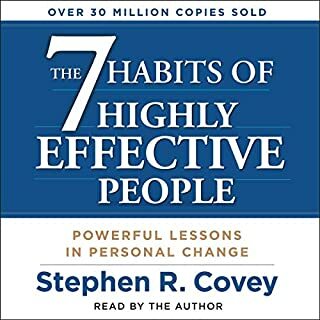 I listened to this audiobook and kept waiting for the author to get to the part which made it clear why he picked the title he did. He spends most of his time speaking about three things: outsourcing odd jobs to india, convincing boss to let you work from home some, and taking mini retirements of a year or so. the only trouble is that most bosses arent going to let you spend 36 of your 40 yours out of the office and still keep you job and most people who are interested in building a life are not going to be able to uproot and just travel to some distance location of the globe (the author gives useless advice about using online travel cites etc to get good deals). it seems this books simply is the authors way of living his own advice. he did not want to work for a living so he through together a bunch of random examples from his own life and bunched it together to sale to us suckers to fund his next year long mini retirement. 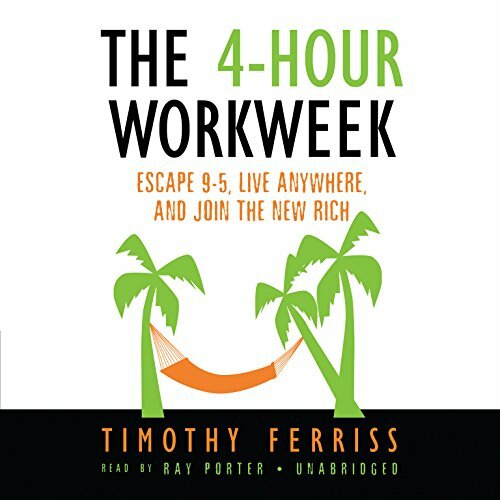 I've read many books on a similar topic, and while the concepts are similar - Tim goes way beyond into real life, nitty gritty detail about steps to accomplish the goal of streamlining and stripping away unnecessary tasks; testing goals before setting out to achieve them; and finalizing it all into a life plan. Highly recommended!